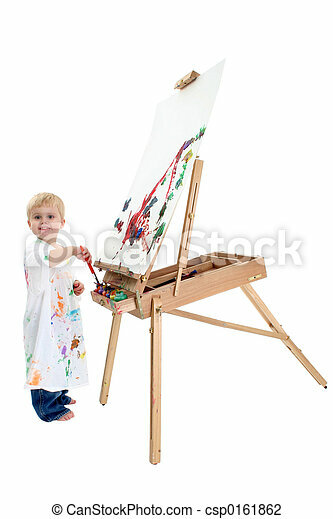 Boy child painting. 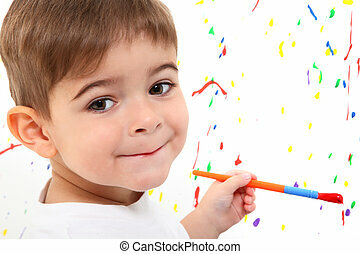 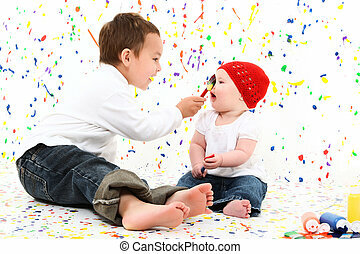 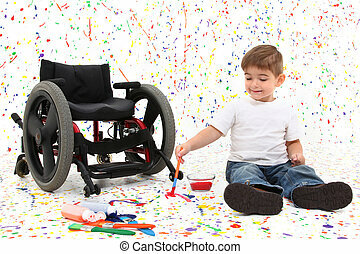 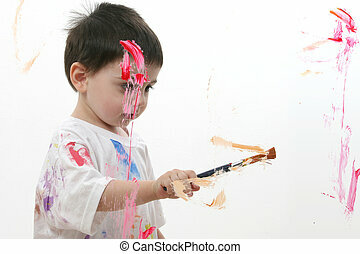 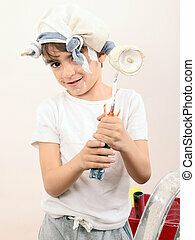 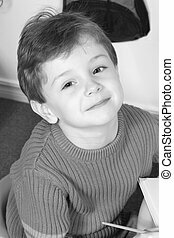 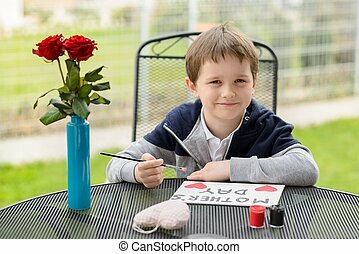 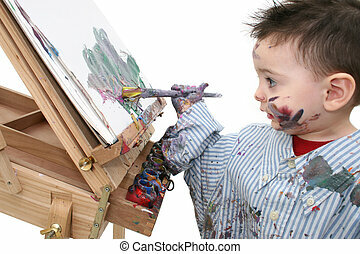 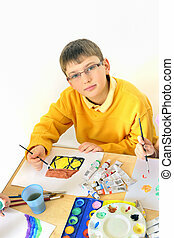 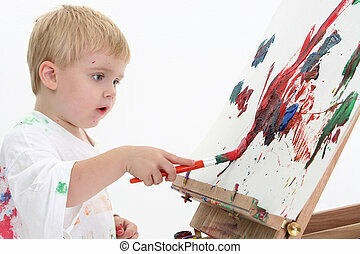 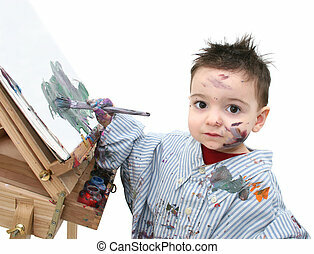 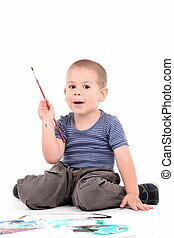 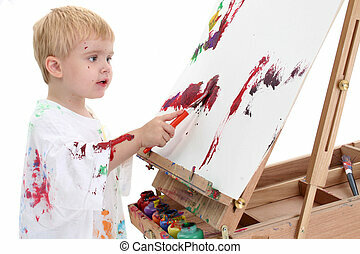 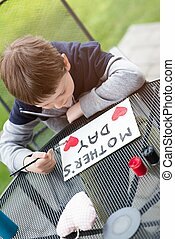 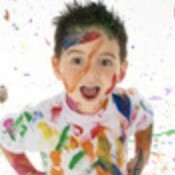 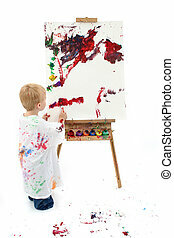 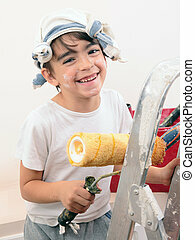 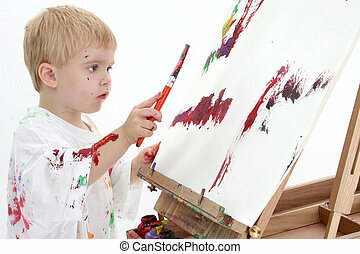 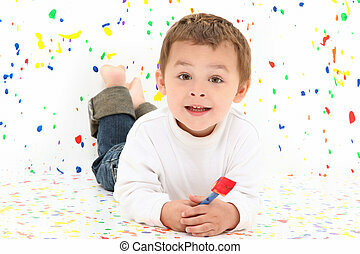 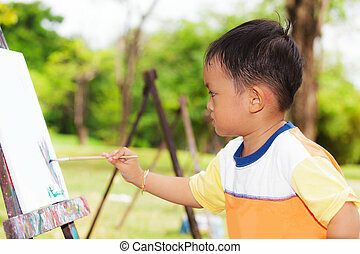 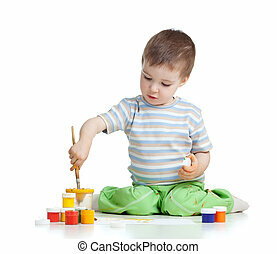 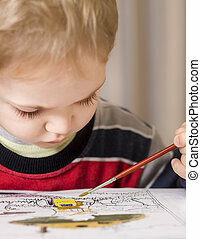 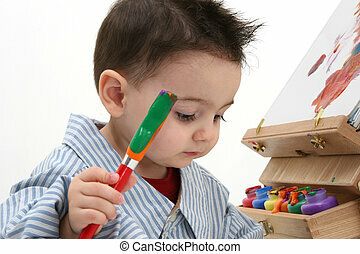 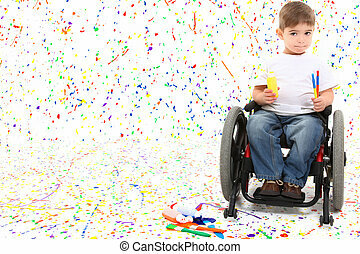 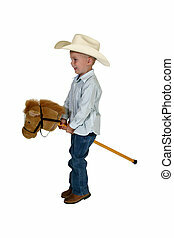 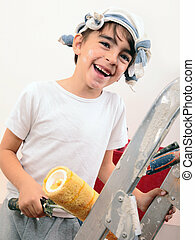 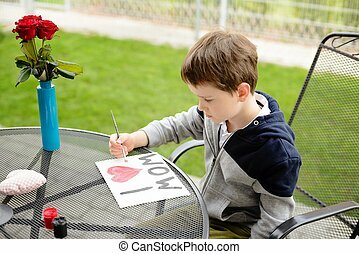 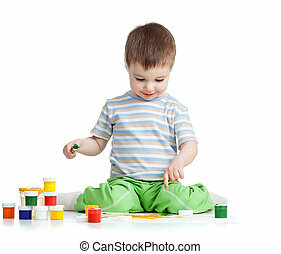 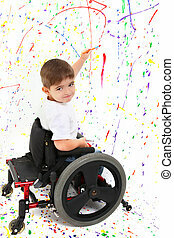 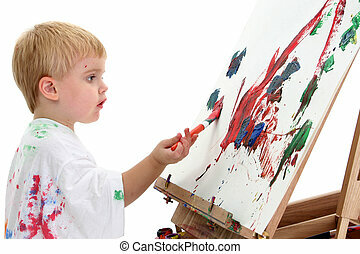 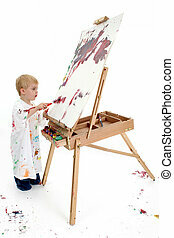 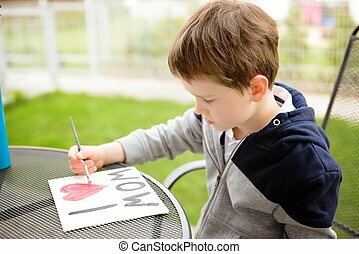 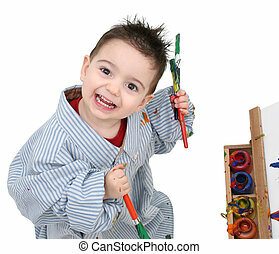 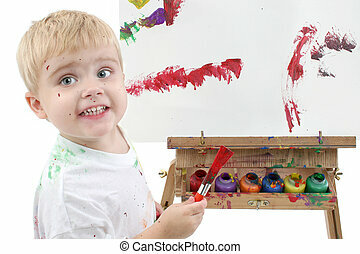 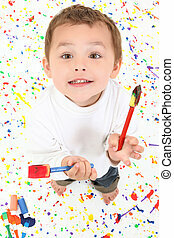 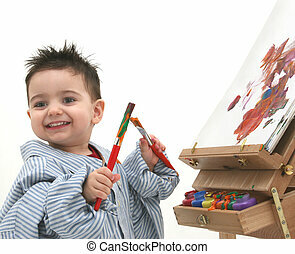 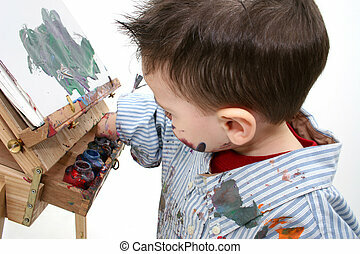 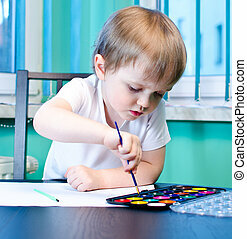 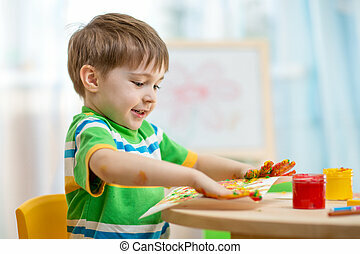 Toddler boy in big white shirt covered in paint at easel. 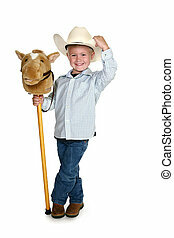 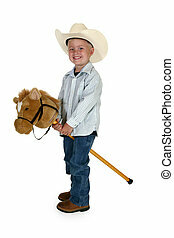 american blonde caucasian boy. 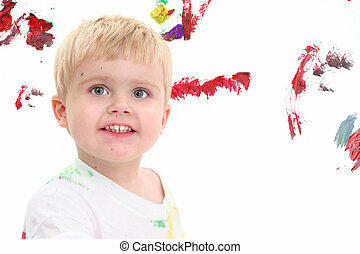 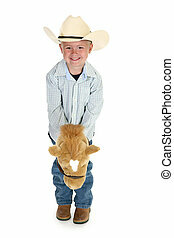 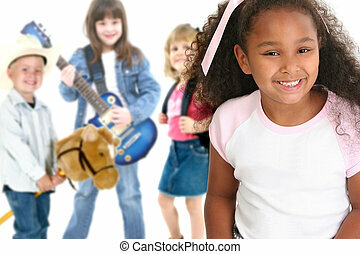 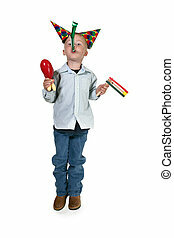 shot over white background.